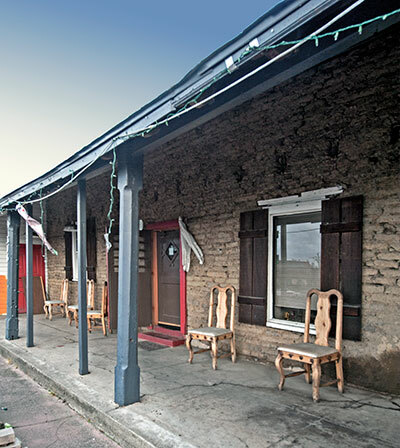 Constructed on Tulucay Rancho as the residence of Don Cayetano Juarez, this adobe building is the oldest representation of the Mexican Era in Napa County. General Mariano Guadalupe Vallejo granted the rancho to Juarez as a reward for his service in the Mexican Army. Juarez married Maria de Jesus Higuera, and they became popular members of the local community. They had eleven children and were known for hosting fiestas and rodeos typical of the Mexican Pastoral period. Juarez was also involved in the Bear Flag Revolt of 1846, attempting to rescue General Mariano Vallejo from capture. In 1859, Juarez donated land to the City of Napa to establish Tulocay Cemetery, where he would eventually be buried. 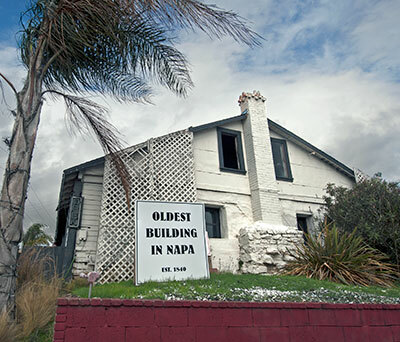 In 1872, he donated land to the State of California for the establishment of the Napa State Asylum for the Insane.